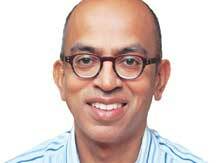 Rahul Jacob: Is India's demographic dividend a myth? Myths, when repeated often enough, can take on the reassuring resonance of truth. In India's case, none in recent memory matches the demographic dividend. Our leaders across the political spectrum, ranging from former urban development minister Kamal Nath to Prime Minister Narendra Modi, have lauded a seemingly preordained future of prosperity from podiums in Davos, Delhi and Wembley. It seems plausible that as more young people enter working age and start working and earning, India's economy will grow at a more rapid rate. This looks unattainable, however. Look, for instance, at the company we keep on tables of education and well-being - those countries, like India, with rankings of about 130 or so on the UN's human development index such as Guatemala, Tajikistan and Timor-Leste do not seem like world-beating economies. Look also at the average years of schooling of just 4.4 years for Indians. Consider that India accounts for the largest number of children suffering from stunting and wasting - from chronic diarrhoea and malnourishment - in the world. Factor in also that, unlike South Korea, Taiwan, Hong Kong and Singapore, Thailand, Malaysia and Indonesia, we have very low levels of female participation in the workforce. Can people who have had such a disadvantaged childhood make for a productive workforce tomorrow? Girindre Beeharry, head of the Bill and Melinda Gates Foundation in India, evocatively argues that one should not be "captive to the womb lottery". Sadly, for hundreds of millions in India, that inequality from their birth and the utterly inadequate schooling and health care they receive thereafter mean that the lottery is stacked against them. As many as 1.4 million die before they have turned five. As a foreign correspondent covering the bustling factories of southern China between 2010 and 2013, I wrote often about what is called the Lewis turning point - that moment when factory owners see their returns fall because supplies of cheap labour have dried up. Due to the one-child policy of the past three decades, recently relaxed, the working-age population peaked earlier than it should have in China in 2015. Chinese factories were facing labour shortages from the time I arrived in Hong Kong in late 2010. As the economist Tao Wang predicted, "The net increase of working-age population will drop sharply to 23 million this decade, from the 82m during 2001-10 and 90m during 1991-2000." A factory owner making leather bags for consumers in Italy and elsewhere in Europe told me that just a few years earlier, his employees had thrust the resumes of relatives and friends seeking jobs into his hands. By 2012, however, he had to pay sign-on bonuses to lure workers to his factory and was pleading with employees to recommend his factory as a good employer to their friends and relatives. At another factory in the southern Chinese industrial city of Dongguan, I was shocked to see robots being put to work to help produce woollen sweaters. This huge shift was brought home to me one day as I interviewed Chinese workers attending a labour fair. A young woman in a cycle rickshaw was gliding past the booths with labour agents chasing her with competing offers of work in nearby factories. A Gallup poll in 2012, meanwhile, found that only about a quarter of young Indians held full-time jobs at the time. This number is surely skewed by the very low levels of female participation in the Indian workforce, which puts us in league tables side by side with Middle Eastern countries rather than China. To the business executive, few countries in the world must seem more dissimilar than China and India - from highways to ports. So it proved when entrepreneurs from Hong Kong started prospecting for cheap labour from 2010. They travelled to Vietnam, Cambodia and even Bangladesh, but seemed uncomfortable with the idea of India. One told me he had visited southern India, but the grinding poverty had upset him and he had chosen to open a shoe factory in Ethiopia instead. In a recent piece published in Mint, the World Bank chief economist, Kaushik Basu, highlights two shifts in the global economy - "labour-saving and labour linking". Robots such as those I saw in the knitware factory in southern China and indeed in the Ford Sanand plant are part of the first trend, the shift of jobs from the US to places like Gurgaon and Bengaluru part of the second. India benefits from the second, but labour-saving technologies rule out the possibility of hundreds of millions being employed in factories as in China in the past three decades. The other seemingly insurmountable hurdle is that global trade growth has slowed perceptibly in the past few years. Economic growth in the US and Europe has fallen as well, but China is also producing a larger share of the supply chain for components that go into everything from Apple phones to Samsonite suitcases. This means that even highly labour-intensive jobs that feed into these supply chains will have to be close by in places like Vietnam and Cambodia rather than in India. In the meantime, another large entity with millions of under-educated and poorly fed youngsters looks set to compete with Indians for jobs. By 2100, Africa will be home to 4.4 billion people, according to new data from the United Nations. In the next few years, count on its leaders to vaingloriously predict a demographic dividend for their citizens.